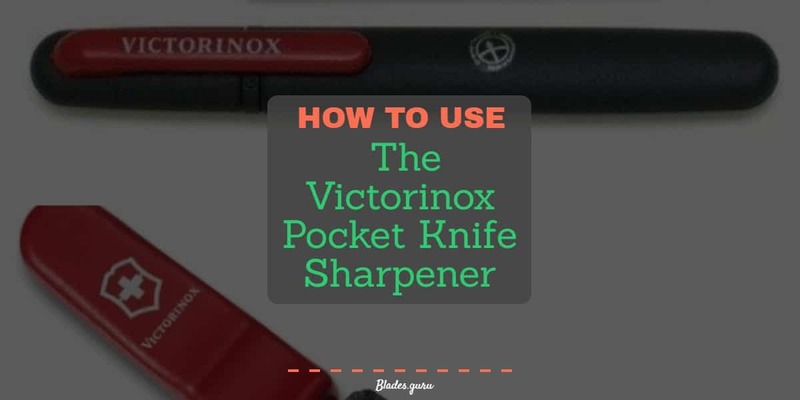 I use and recommend the Victorinox Pocket Knife Sharpener, and I’ve made this tutorial to ensure you know how best to maintain your tools, too. While there are several options you could use for each of these, anything works – I swear by the Swiss Army Knife I carry nowadays. The ‘stable surface’ can be a desk, a countertop, even flat pavement – it just has to provide a good purchase so you can brace the pocket knife sharpener against it without slipping. The rag and rubbing alcohol aren’t totally necessary, but it’s best to clean your pocket knife before sharpening it, as dirt and grim can degrade the sharpener. The simplest step here, it’s just a matter of using just a bit of rubbing alcohol and carefully, slowly swiping the rag down the sides of the knife. To clean the cutting edge, you can pinch the fabric from both sides to avoid cutting yourself and to minimize damage to the knife. Start off by making sure your tool is in the right position, held straight up and braced against the surface you’re using – this will give you a firm, steady platform to sharpen your knife safely and to do the job right. The bevel angle is the angle you hold your pocket knife to the pocket knife sharpener at, and it’s usually around twenty-five, thirty degrees. While a different pocket knife may have an ideal angle, the correct bevel angle should feel pretty natural. If you’re not certain or you can’t get a grip that feels comfortable and secure, then don’t go on and try anyway – that’s just unsafe. Go to a friend who might know, or better than that go to a hardware shop, a hunting goods store or something along those lines and ask a professional. Now that you’ve got everything held in the right position, apply light pressure and slide your knife down the rod. Start with the heel or the tip making contact at the top of knife sharpener, and slowly move the knife across it so that once you reach the bottom, the other end of the knife is the one being sharpened. You should also start with the knife close to you, and swipe it away, which will be more safe and more efficient. You can either do one side until you’re satisfied that it’s sharp enough, then switch to the other, but that’s not likely to get you an evenly sharp knife unless you’re careful. The best way is to switch from one side to the other, using the methods that Mr. Baz Reviews shows well. 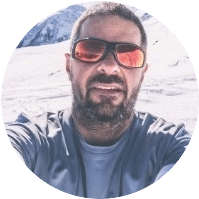 In this video by Mr. Baz Reviews, he shows off the quality of the Victorinox sharpener and shows what proper technique looks like, but he’s experienced enough to do it as quickly as he does. Copying him is a good start, but if you don’t have much experience sharpening knives, you’re going to want to do it much more slowly. I enjoyed writing this tutorial, did you enjoy reading it as much? I hope so. My pocket knife has been a constant companion wherever I’ve found myself, and I’ve always been happy to have it on hand. But a dull knife is more dangerous to the one using it than it is to anyone else, so I always use my Victorinox Pocket Knife Sharpener to keep my blade sharp and clean. If you find yourself needing a new pocket knife sharpener, I think you should do. What’d you think? Share your thoughts in the comments, and share the article if you enjoyed it!